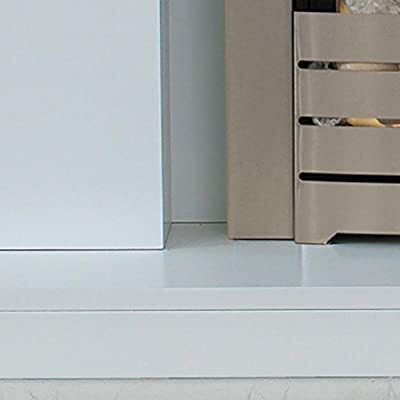 Simple, clean colours are what define modern design, and few fireplaces look as sleek as the Lomond Fireplace Suite. 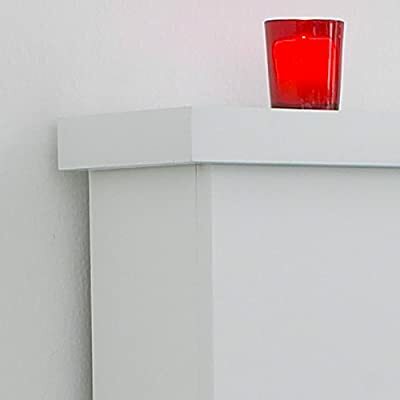 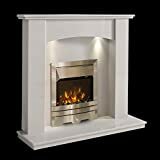 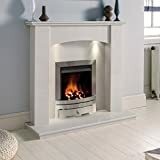 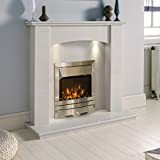 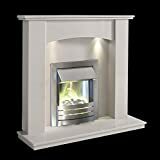 With its minimalist white satin finish, straight lines and pared down design, this fireplace is the perfect focal point for the home that is lacking that contemporary edge. 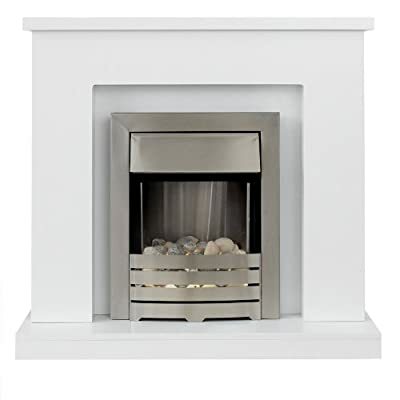 The Helios Electric Fire adds to the visage with its slick brushed steel trim and fret, along with its natural white pebbles and glow effect that will simmer in the background during cosy evenings. 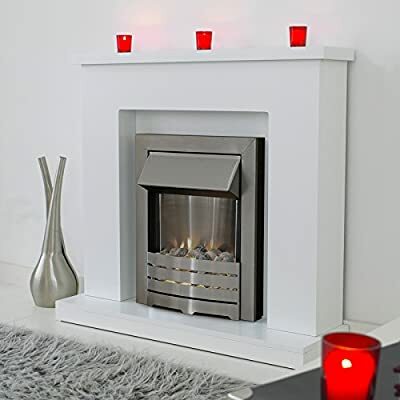 Simply install flat to a wall and enjoy this exquisitely state-of-the-art fireplace.